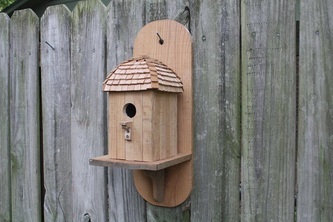 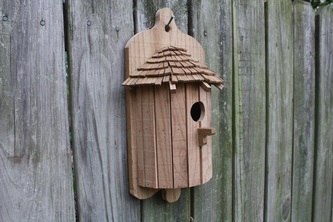 From time to time I like to unwind in the shop and build simple bird houses. 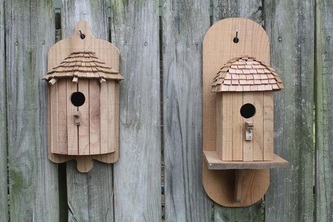 I do not go the great length of exact perfect measurement like with my boxes, but let the design just evolve. 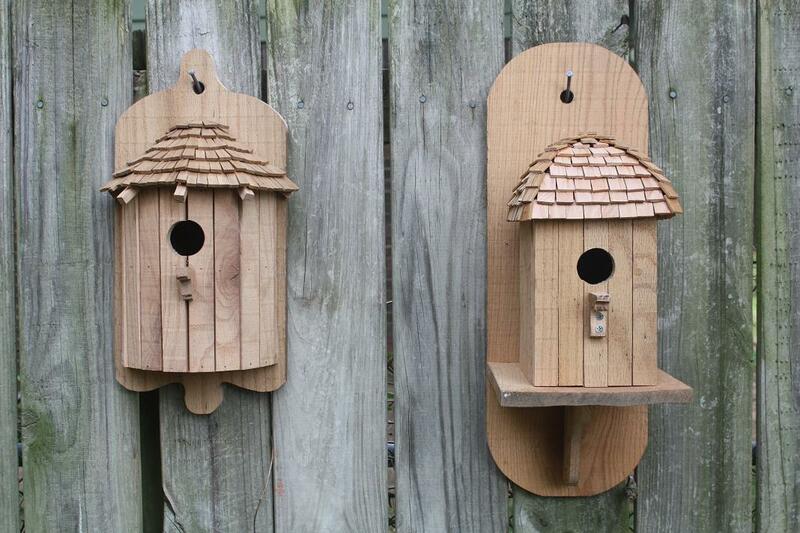 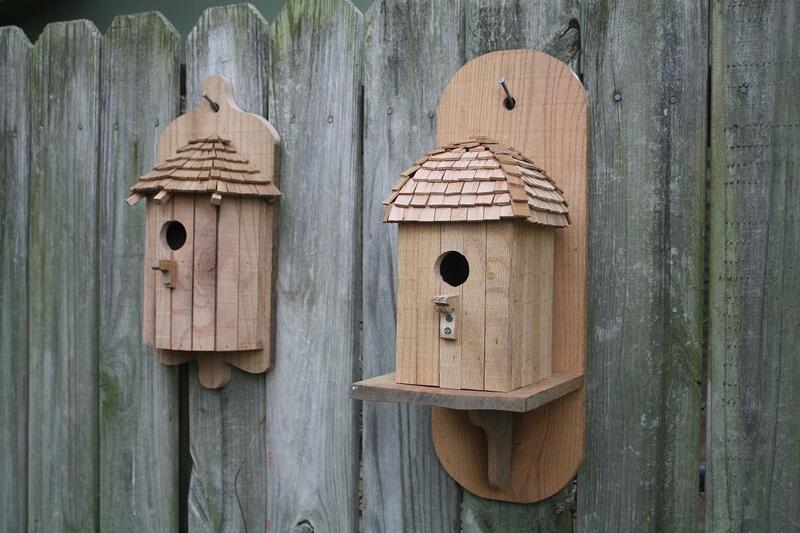 I these are just fun little projects that I'm sure a feathered friend would appreciate. 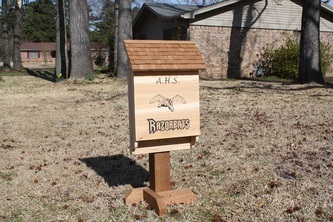 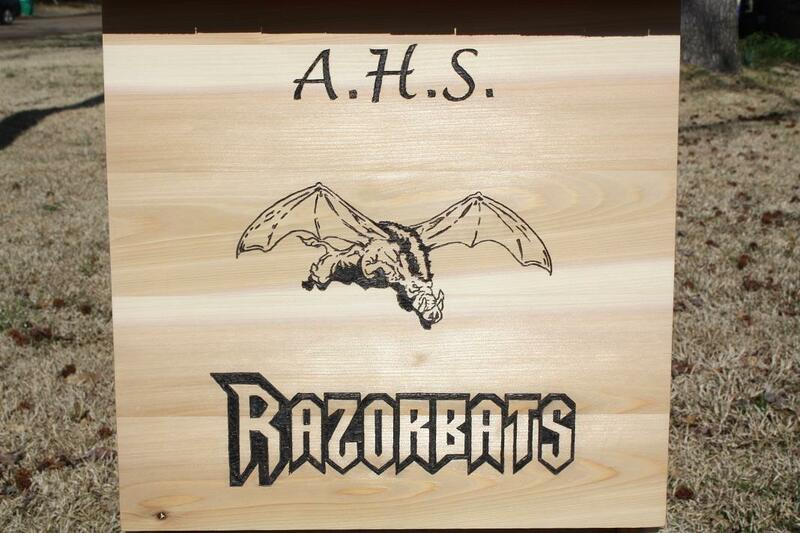 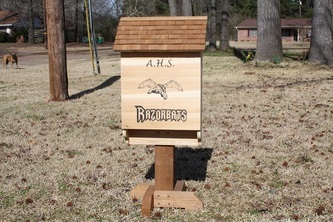 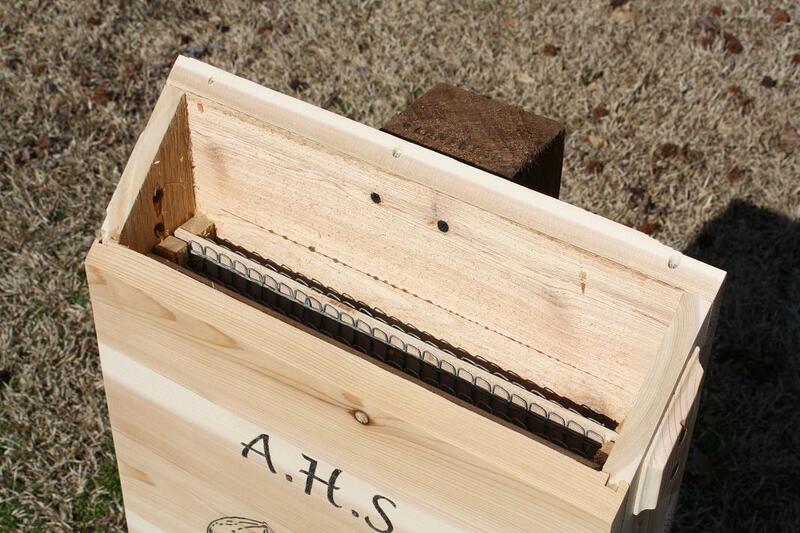 This bat house was constructed for Arkansas High's East Lab (Environmental and Spatial Technology). Their goal was to have a functional bat house to take to conferences and display on a table top as their subject. 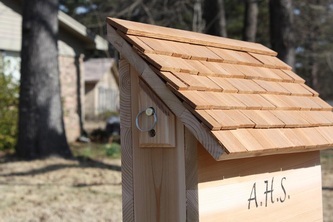 The construction is all cedar which makes it naturally weather resistant and a comfy home for up to 80 bats. 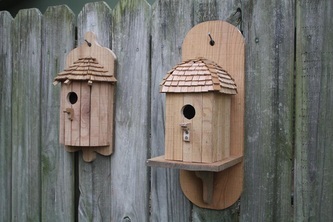 The top and two dividing walls are removable for easy cleaning. 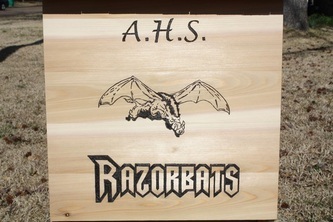 The logo on the front was burnt into the wood by hand.